Fellow oily skinned friends. Tis the seasons of our greatest struggles. It’s funny, because after another long New England winter I was starting to believe that I could call my skin combination. As soon as I start needing the AC my oil glands kick it into hyper drive, and all of my winter and spring makeup routines leave me looking like the greasiest of greaseballs. Fortunately, my years of testing and trying various beauty products have led me to a few wondrous shine-controlling bits that I always rely on come summertime. 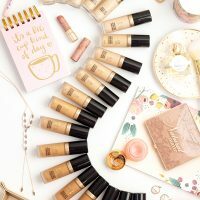 If you’ve ever watched your foundation separate or break up right on your face, seen your eyeshadow crease into oblivion, or notice your t-zone turn into an oil slick, these five products ARE LIFE. Even just incorporating one or two into my makeup routine makes a huge difference. So if you’re ready to be enlightened in the ways of matte-ness, let’s take a closer look. 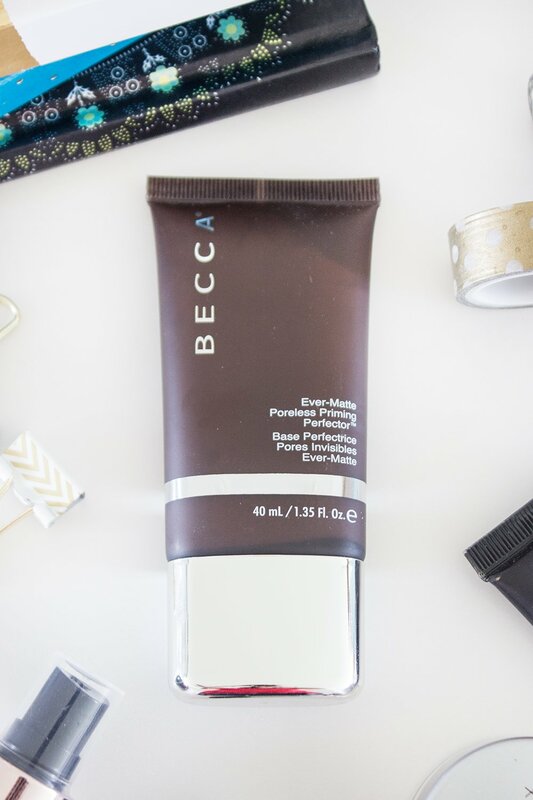 So I’m going to admit right off the bat, the Becca Ever Matte Poreless Priming Perfector ($36) is one pricey face product. However, there is absolutely NOTHING else like this primer on the market (at least not that has ever crossed my path) and you need such a tiny amount that a single tube will probably take you past its expiration date. The best way to describe the experience of using this primer is that it’s almost like…shellac for your face. It’s a very sticky balm and kind of feels like glue when you’re rubbing it into your skin. But once it dries down, it is COMPLETELY matte. It feels almost as if it’s created an oil absorbing barrier that sits between your skin and your makeup (and maybe it is?). 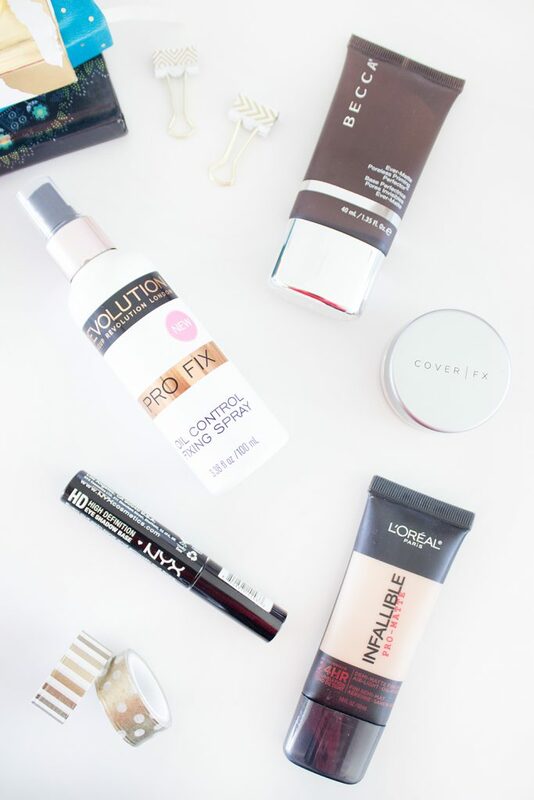 Either way, this primer works magic when it comes to controlling shine in your trouble spots. To get the best experience of this product, heed my advice. DO NOT slather it all over your face, especially if those areas are slightly less oily. Just work a little dab into those areas which have the largest pores and produce the most oil (for me this is around my nose and on my chin) and you’ll find it to be much more comfortable while still getting the job done. And for the love of all things good, keep this stuff away from your eyebrows. I made that mistake the first time I used this, and they were basically glued down to my face at an awkward angle. Not a cute look, friends. Not a cute look. One of the biggest battles for us oily skinned folks is finding a foundation that covers and minimizes shine without a. creating the dreaded cake face, or b. making your skin look as flat and lifeless as the Sahara. 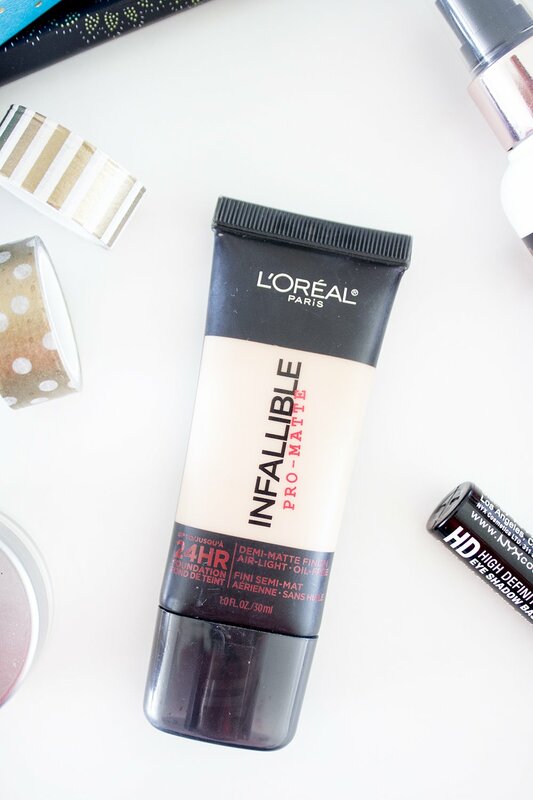 But last year L’Oreal totally slayed the drugstore foundation scene by releasing the Pro-Matte Infallible Foundation ($12.99), which gives you a natural-looking demi-matte finish that lasts a full 24 hours. Now, let’s be serious. 24 hour wear is probably overkill (this is where I side-eye cosmetics companies for their marketing ploys) but I can vouch for the fact that this foundation does wear incredibly well and can last me through my 10 hour work day. 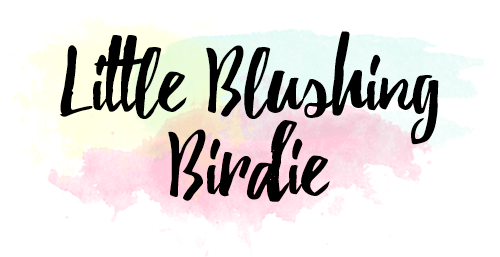 It’s got a very lightweight texture that provides a lot of coverage while still being incredibly easy to blend into the skin. It also does a pretty excellent job of staying matte throughout the day and not breaking down or getting patchy. 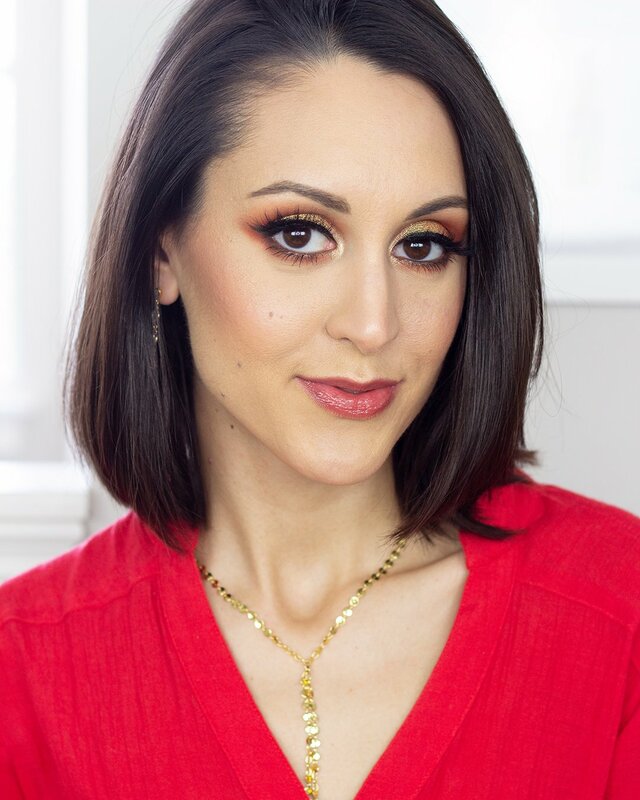 My favorite way to apply this foundation is with a buffing brush, although if you’d like your finish to be a little less full coverage a beauty blender will also work nicely. One of my more recent discoveries (or truthfully, rediscoveries) has been the Cover FX Matte Setting Powder ($32). As much as I absolutely love the IT Cosmetics CC+ Airbrush Perfecting Powder and how flawless it makes my skin look, I’ve come to realize its not the greatest for oil control. The last few times I’ve worn it on a hot day I’ve ended up crossing the threshold from dewy into greasy, and decided that I needed to explore some other options (at least until things cool down a bit). After rummaging through my drawer of powders, I remembered that I had this little gem who hadn’t seen the light of day in quite some time. 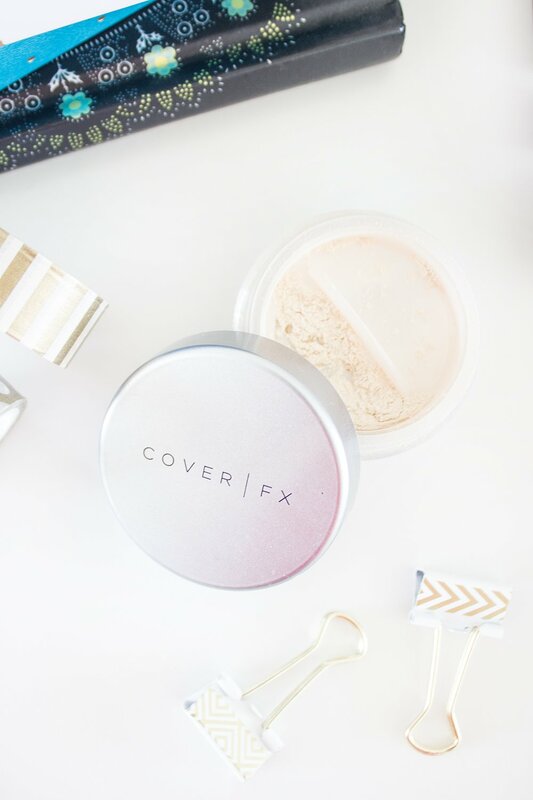 The Cover FX Matte Setting Powder does a glorious job of locking your makeup into place and leaving it with a lovely matte finish. It doesn’t build up coverage or make you look cakey, and keeps you shine free for hours. Yes, it’s another pricey product, but considering how little you need, one tub will probably last you an eon. 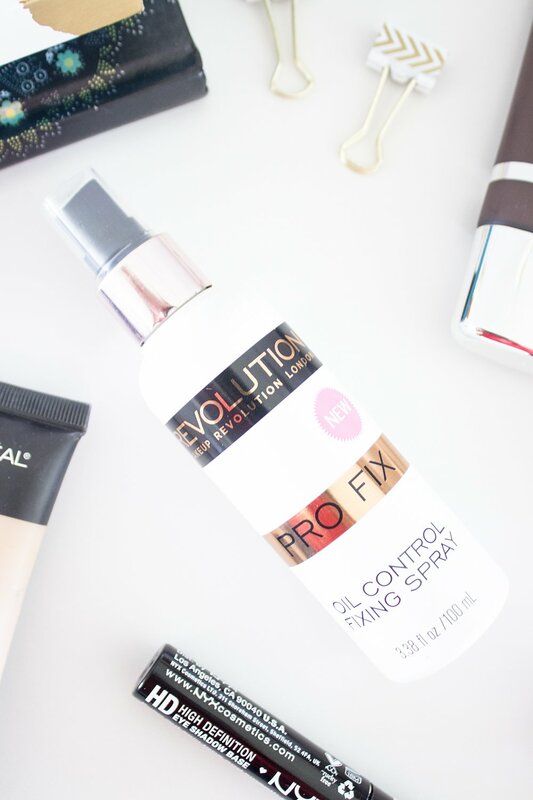 If you really want to go for the gold, spritz your face with a little of the Makeup Revolution Pro Fix Oil Control Fixing Spray ($8). Having tried many a setting spray, this has quickly become my new favorite. 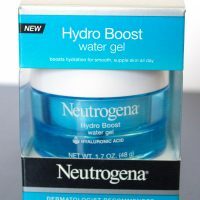 It has a really fine mist, a pleasant smell, and does seem to increase the wear time of my makeup. 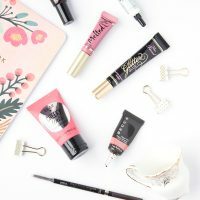 It leaves your skin with a sort of satiny demi-matte finish, and keeps it from getting overly glowy throughout the day. The best part? The price tag. 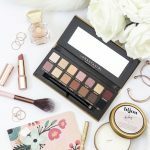 Other alternatives from Urban Decay, Skindinavia, and even L’Oreal are way more of an investment. However, this setting spray really does work wonders and is a fraction of the price. Now, we’ve covered pretty much all of the necessary bases to keep your face makeup looking fresh and grease-free all day. 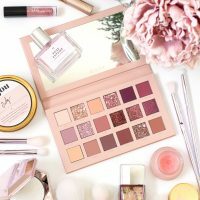 However, if you also happen to have oily eyelids, you know how absolutely frustrating it is to constantly deal with your eyeshadows slipping, sliding, and creasing. In truth, my ride or die eye primer of life is the NARS Smudge Proof Eyeshadow Base ($26) which is hands down the best thing I’ve found for prepping oily lids. However, it’s also super expensive, and I currently don’t have a tube on hand. Fortunately, I’ve discovered a really great drugstore alternative that actually has many of the same ingredients. The NYX HD Eye Shadow Base ($6.99) has the same doe foot applicator, transparent finish, and staying power as the NARS primer with a price tag that’s $20 lower. 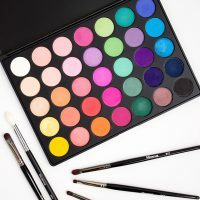 Just sweep a little of this product over your lids, blend in with your fingers, and let it set for 30 seconds or so before you apply your eyeshadow. 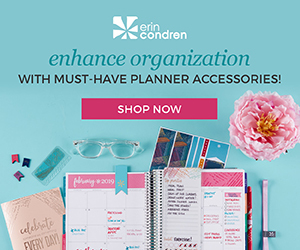 Not only will it intensify the colors of anything you put on top of it, but it’ll also reduce creasing and help keep everything in place until you’re ready to take your makeup off at the end of the day. 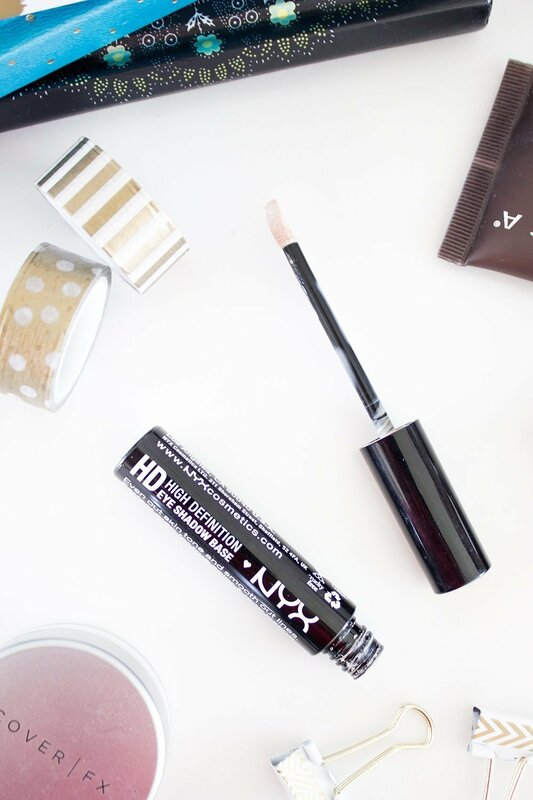 So, before you let the greasies get you down, give one of these makeup products a whirl. 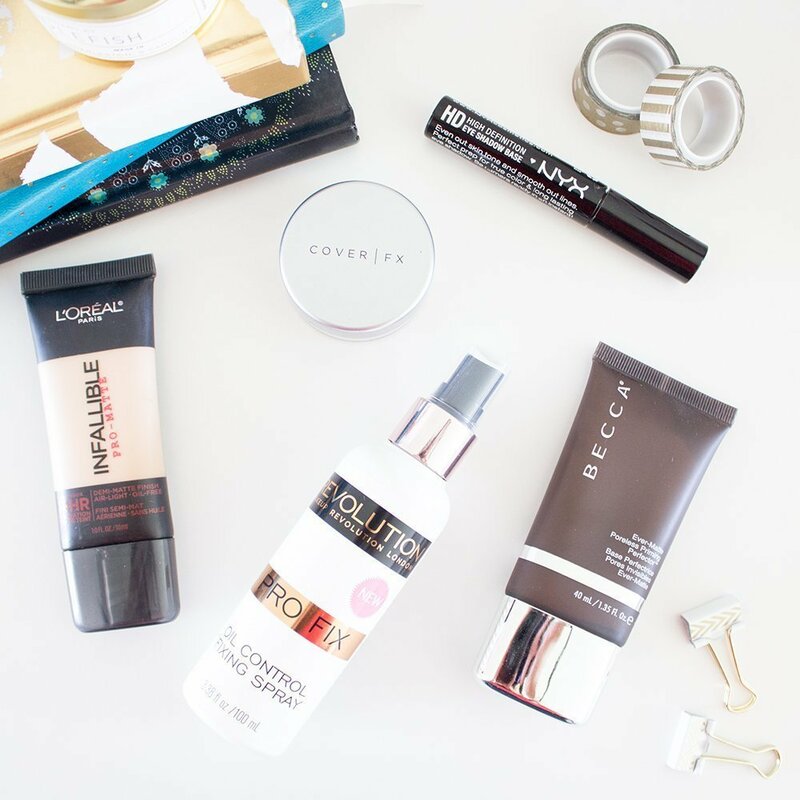 Even just incorporating one or two into your normal makeup routine may make a huge difference. I still love my Milani Conceal + Perfect Foundation, and with the help of that Cover FX powder I’ve been able to keep wearing it this summer without it looking overly dewy. 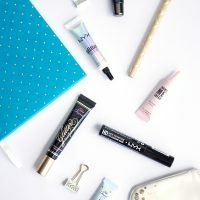 So yes, it may be a huge bummer to have oily skin in the summertime, but with a little makeup know-how you can still keep things looking fresh!